Amidst all the heavy campaigning this is a little light comedy relief! Although the European Convention on Human Rights (ECHR) is not strictly tied to membership of the EU it would make it easier for it to be scrapped and replaced by a UK Bill of Rights and let’s face it are you really ready to trust any given government or men like Nigel Farage with your hard won rights? 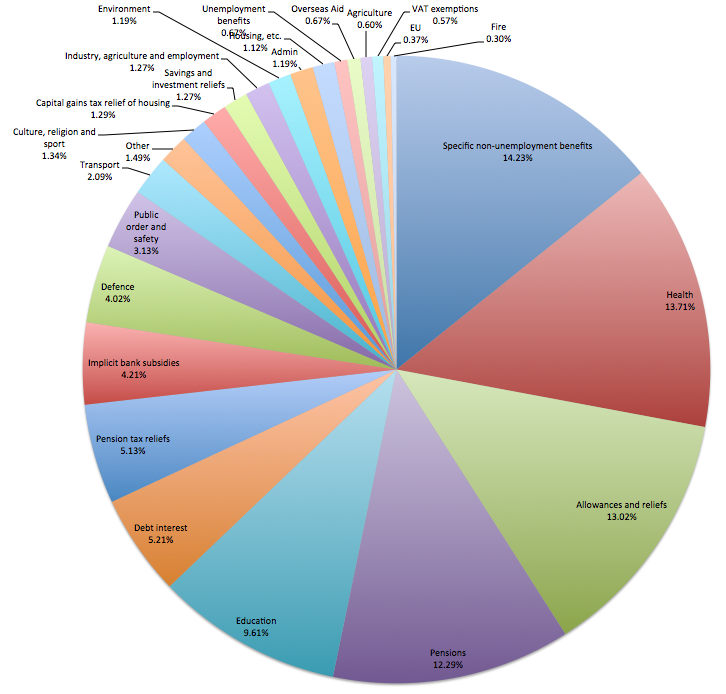 This pie chart shows Britain’s national expenditure. Those who support Brexit keep telling us that we are going to have a massive weekly windfall that is miraculously going to solve all the problems in the NHS, social housing, transportation, pensions, schools, border controls etc. etc. etc. …but can you spot which slice of the pie actually goes to the EU?